Early October in Maryland. Last updated: 10/3/2010. 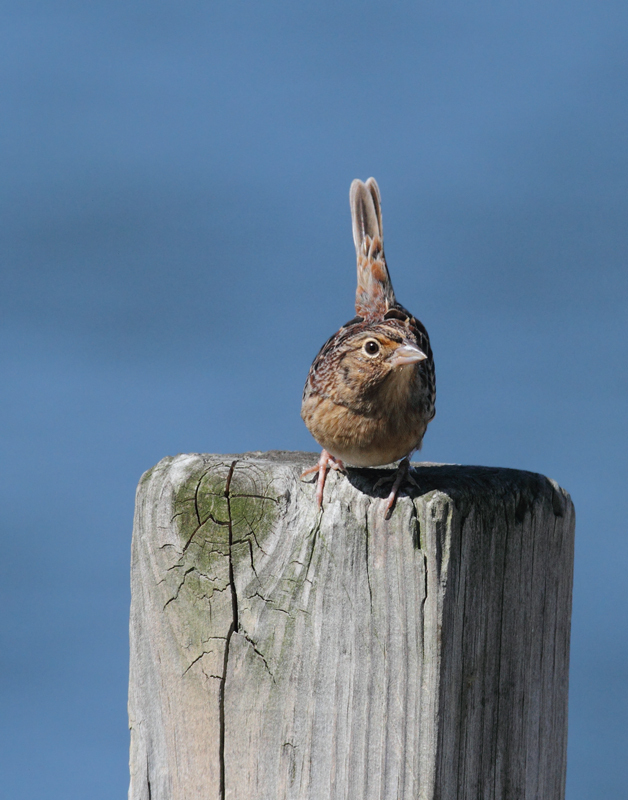 Above and below: This migrant Grasshopper Sparrow was a highlight of a visit to Point Lookout SP during late fall migration. 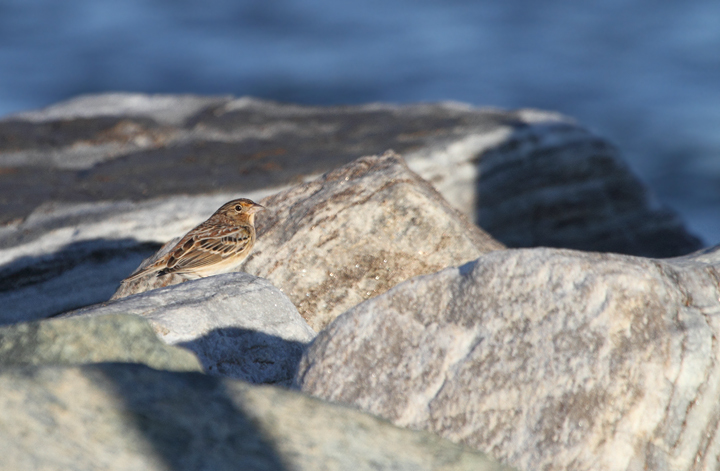 It flushed from a grassy area near the point and posed several times in highly uncharacteristic habitat. Backdrop is the mouth of the Potomac River! 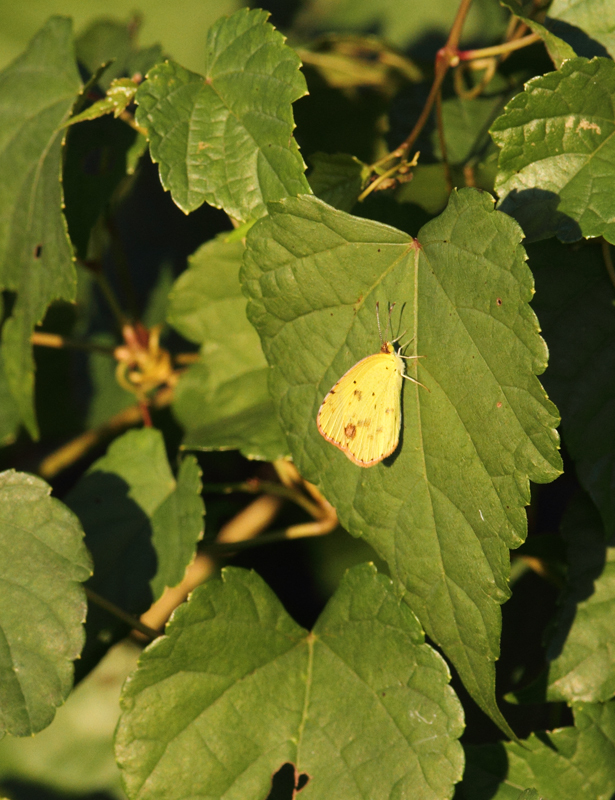 Below: Maryland's invasion of Little Yellows continues. 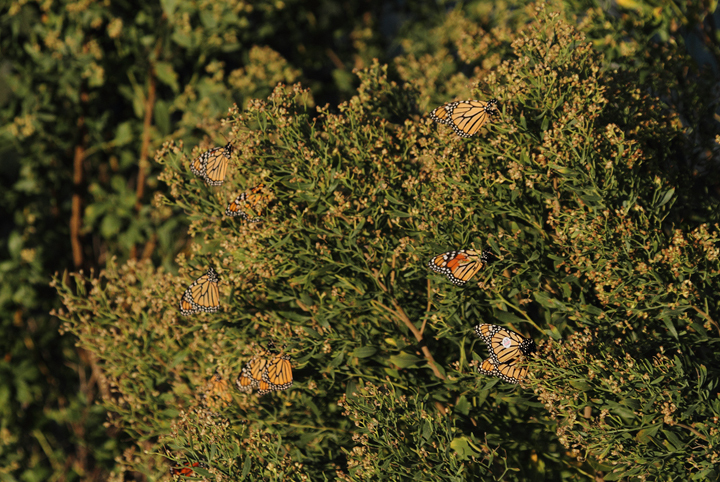 We photographed them in St. Mary's, Calvert, and Charles Counties on 10/2/2010. 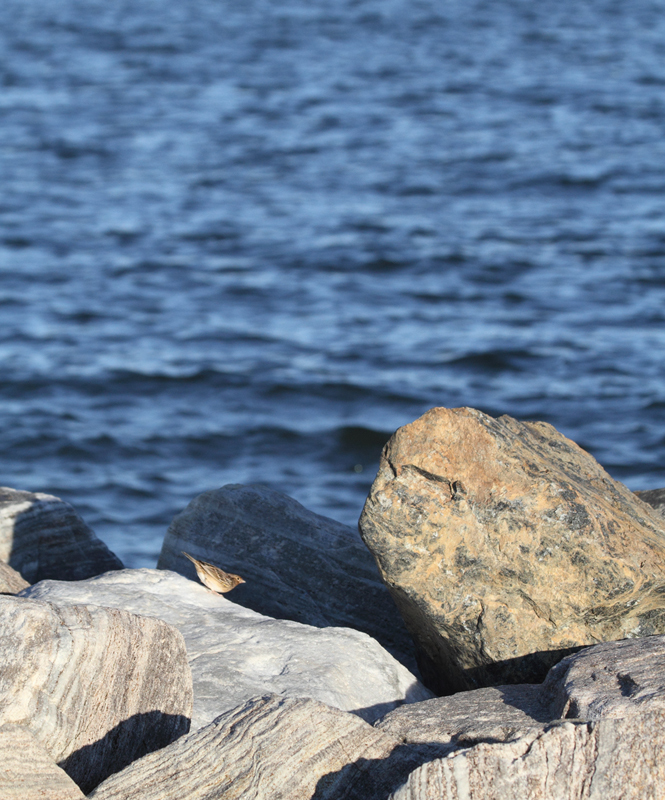 Shown here near the Patuxent River in Calvert Co.
Below: Documentation photos of a Hudsonian Godwit on Kent Island, Maryland. 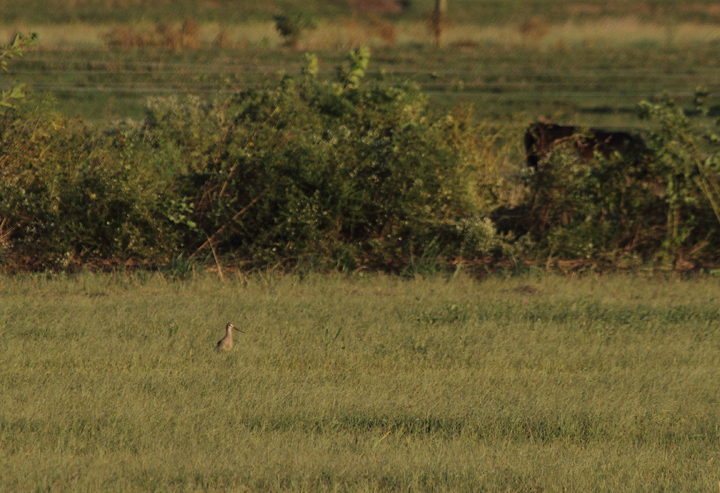 It was found foraging in this upland field habitat by Mark Schilling. 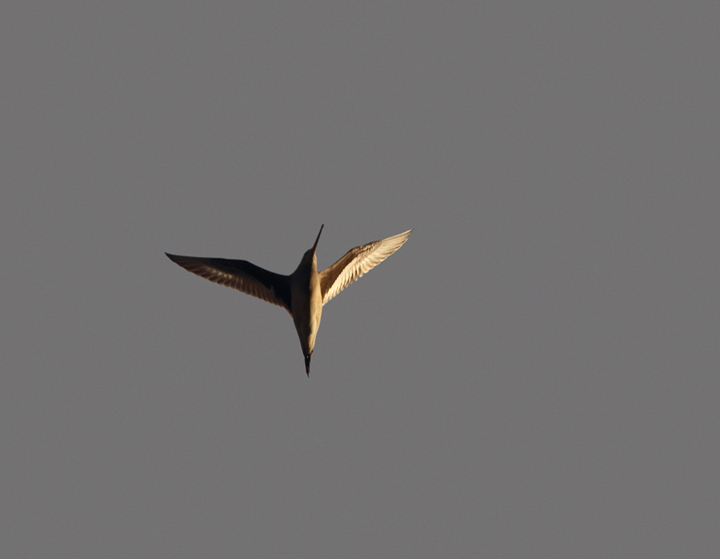 In the flight photo, note the black wing linings, which confirm Hudsonian and eliminate vagrant Black-tailed Godwit. 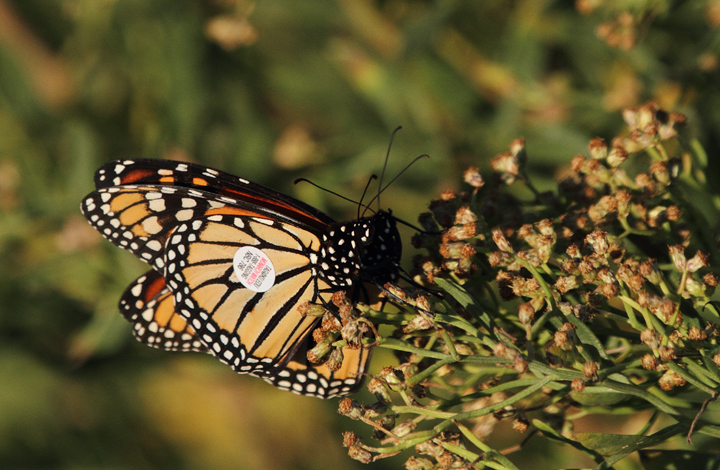 Below: A Cloudless Sulfur finally sits still for a nice profile shot - Charles Co., Maryland (10/2/2010). 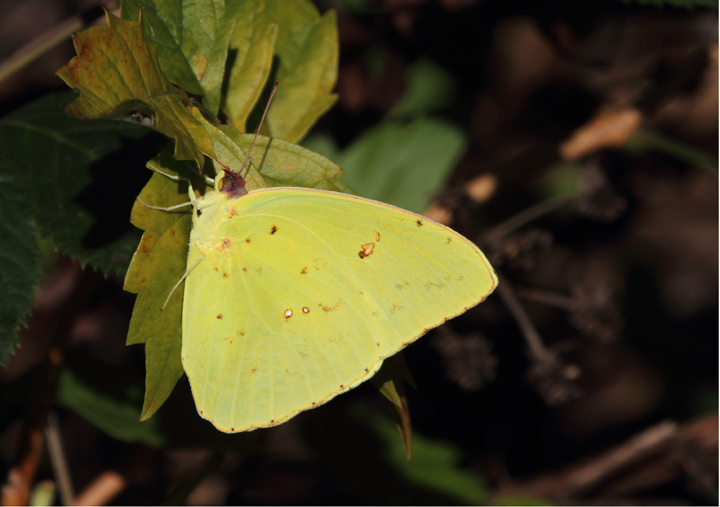 The distinctive color of this large sulfur makes it nearly unmistakable. 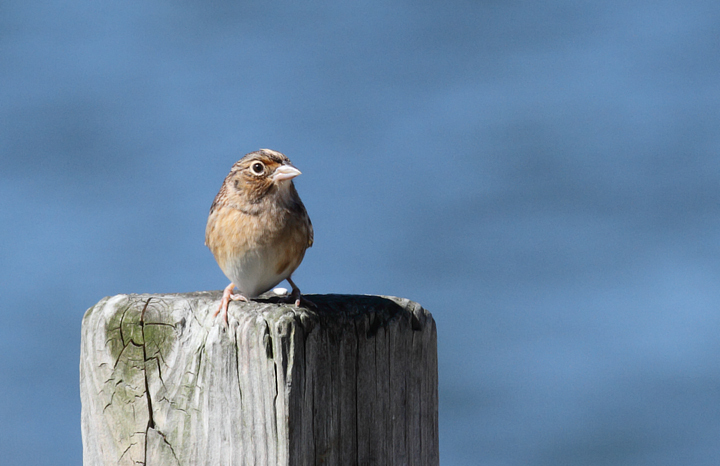 It is a post-breeding wanderer to Maryland. 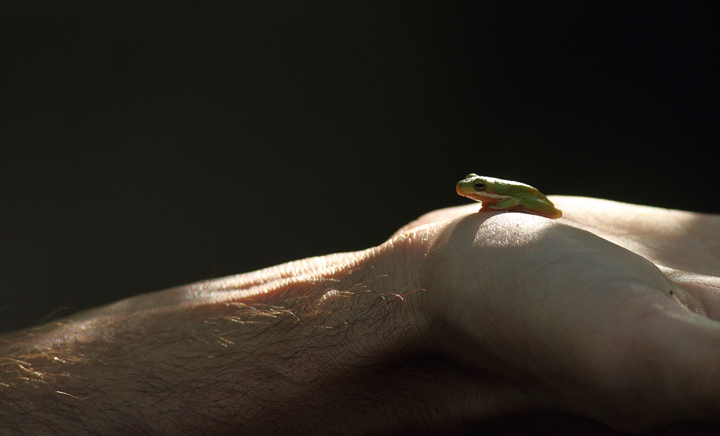 Below: One of several Green Tree Frogs found in a wooded area about a mile from the Patuxent River in Calvert Co., Maryland (10/2/2010). Finder and frog model credit goes to Mikey Lutmerding. 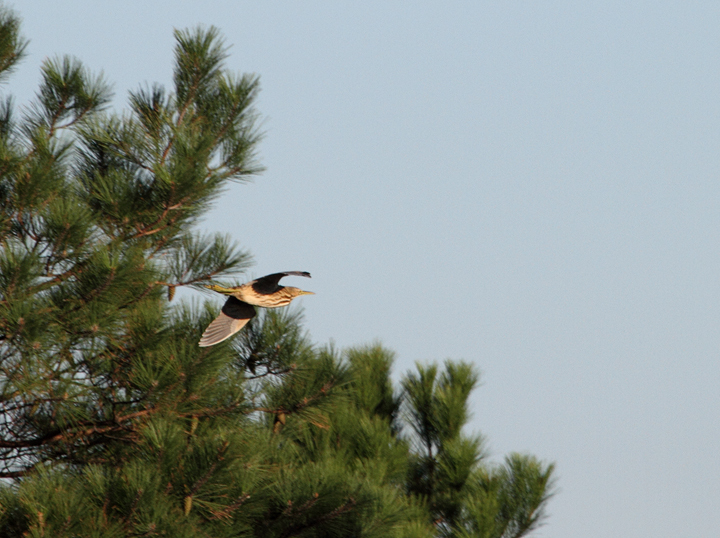 Below: A migrant American Bittern flushes from a scrubby area near the south end of Point Lookout SP, Maryland (10/2/2010). I love it when Stasz gets county birds. Below: Migration is a harsh tradeoff. 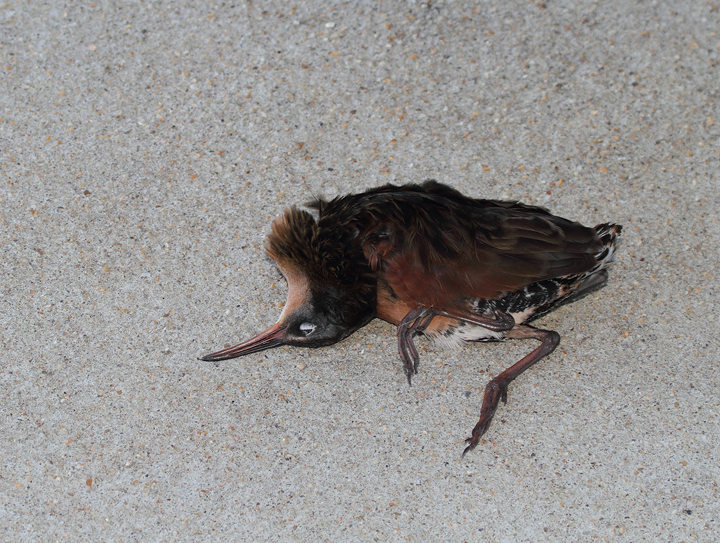 This Virginia Rail presumably died on impact from a building strike during nocturnal migration at Point Lookout SP. The silver lining in this case was that Mikey Lutmerding collected the well-preserved specimen to donate to the Smithsonian Institute. Click for larger image/more details. 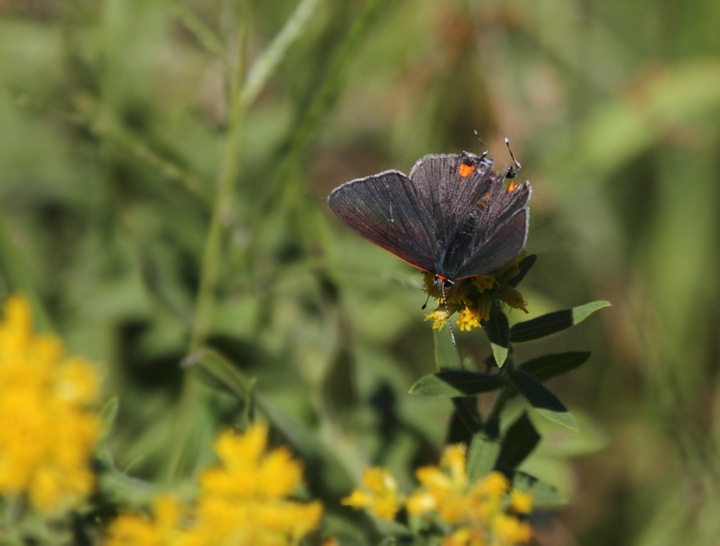 Below: A Gray Hairstreak offers an uncommon view with spread wings - St. Mary's Co., Maryland (10/2/2010). 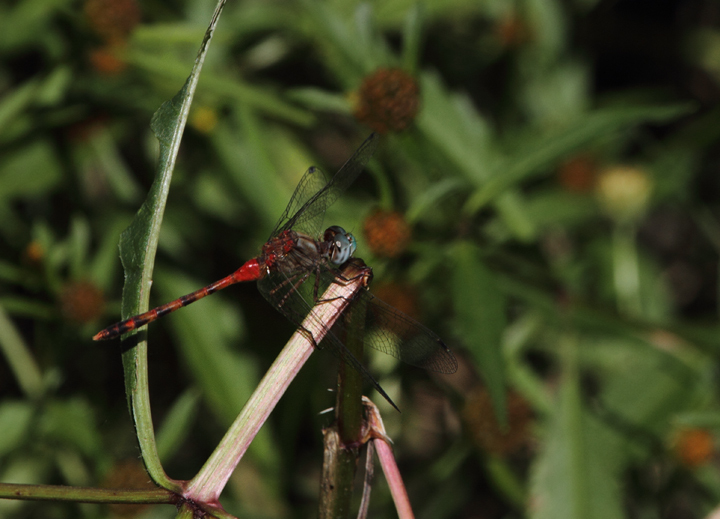 Below: A Blue-faced Meadowhawk in a boggy area of Charles Co., Maryland (10/2/2010). Below: Today featured our first of season Autumn Meadowhawks (formerly Yellow-legged Meadowhawks), which is one of the more common late fall ode species in our area (Charles Co., 10/2/2010). 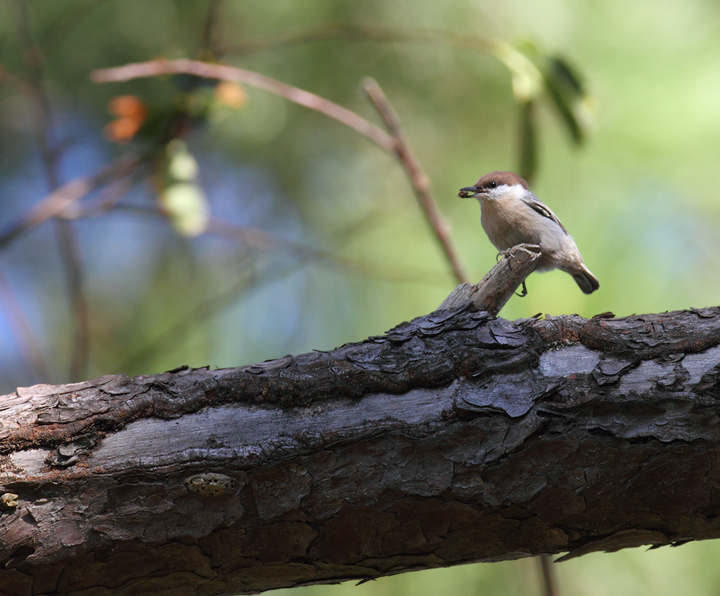 Below: A Brown-headed Nuthatch foraging at Point Lookout SP, Maryland (10/2/2010). 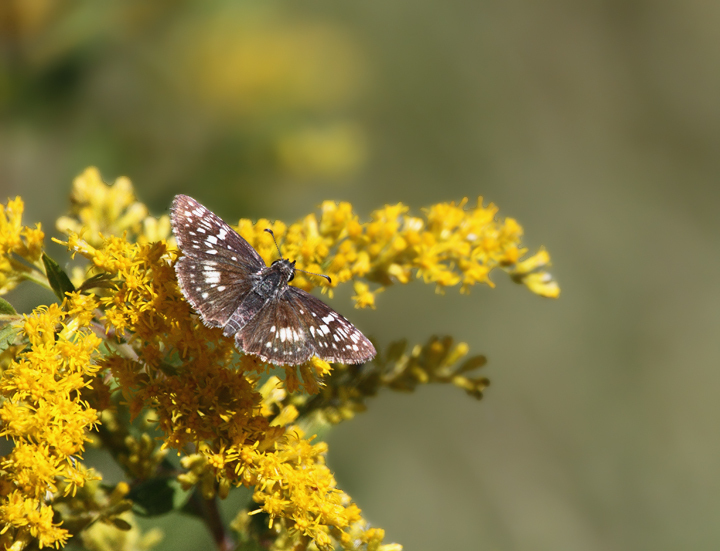 Below: Common Checkered Skippers at the Jacob Farm section of Point Lookout SP, Maryland (10/2/2010). Note the very different states of wear. 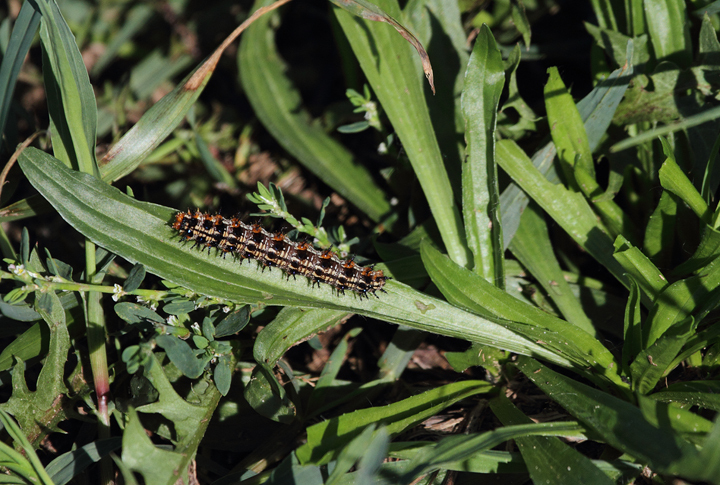 Below: A Common Buckeye caterpillar in Charles Co., Maryland (10/2/2010). 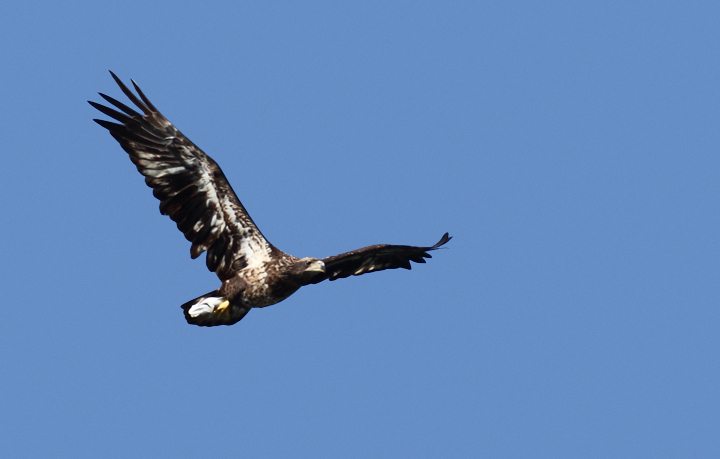 Below: A second-year Bald Eagle with large fish off Point Lookout SP, Maryland (10/2/2010). 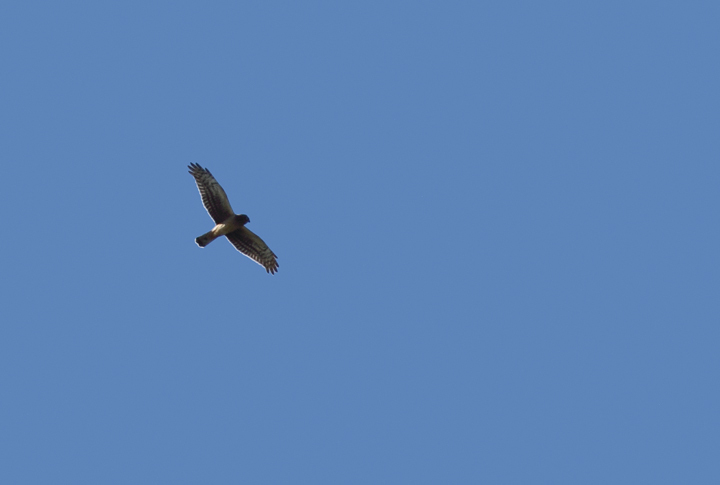 Below: A juvenile Northern Harrier migrating over Point Lookout SP, Maryland (10/2/2010). 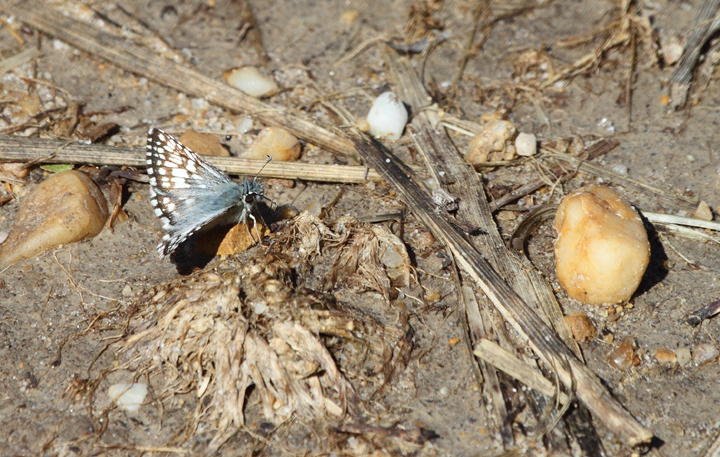 Below: An American Lady in St. Mary's Co., Maryland (10/2/2010). 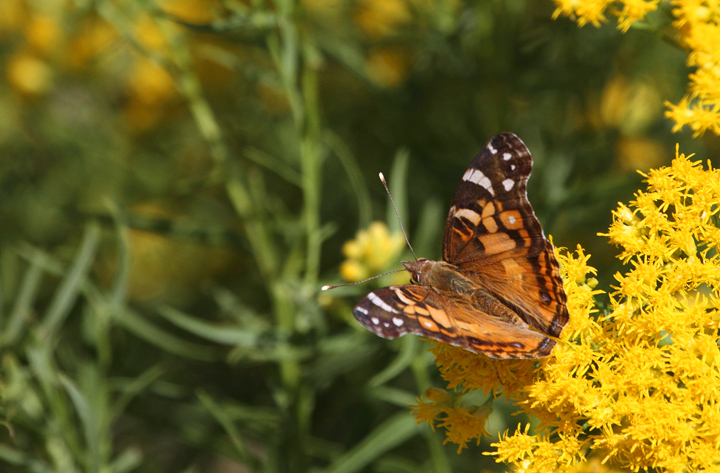 The white spots are a favorite diagnostic field mark for separating from Painted Lady when wings are held open. With closed wings, I like to use the fact that Painted Lady has four large dark circles on the hindwing, while American has two. 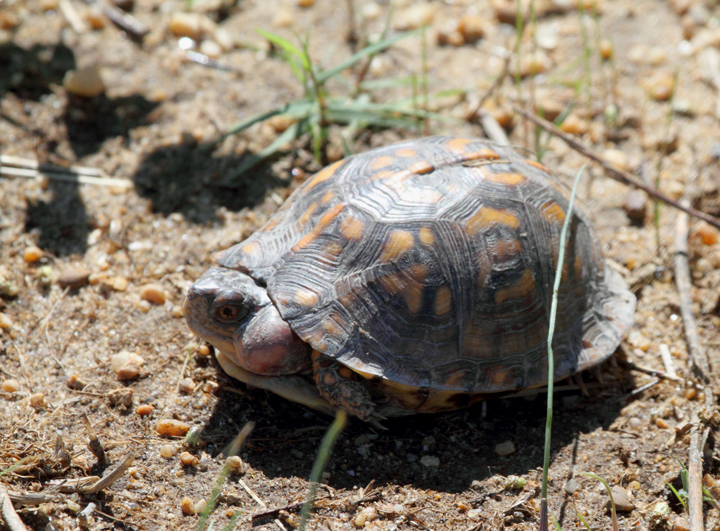 Below: This unfortunate Eastern Box Turtle featured a large growth on its neck - St. Mary's Co., Maryland (10/2/2010). 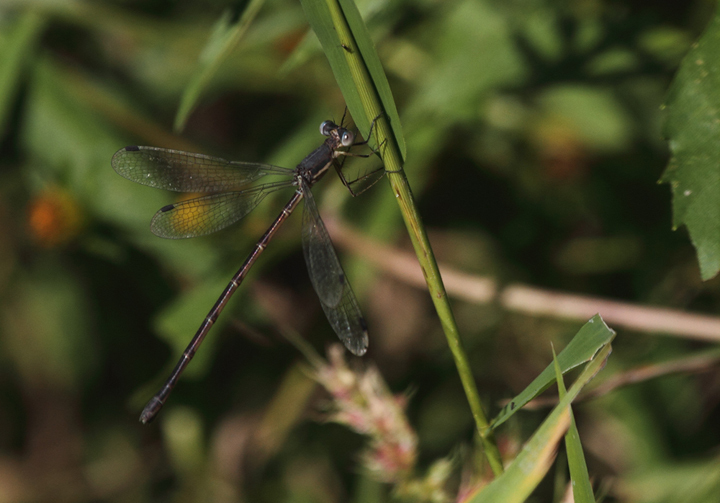 Below: A female spreadwing photographed in Charles Co., Maryland (10/2/2010). 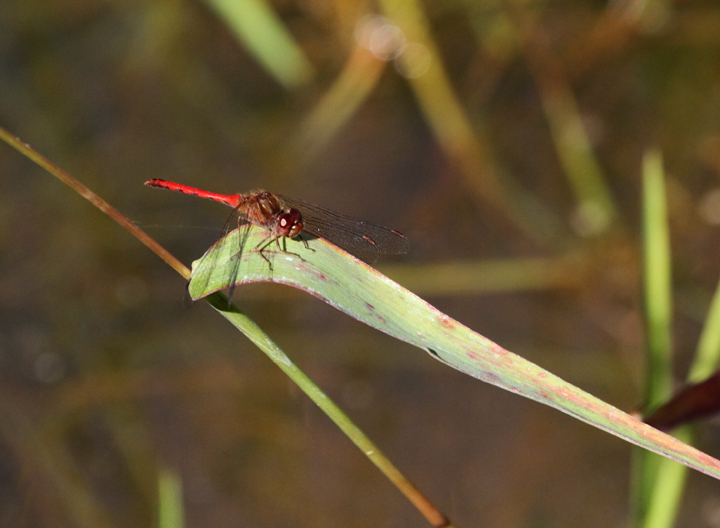 This genus (Lestes) is notoriously difficult and often requires collecting male/female pairs and/or use of microscope. 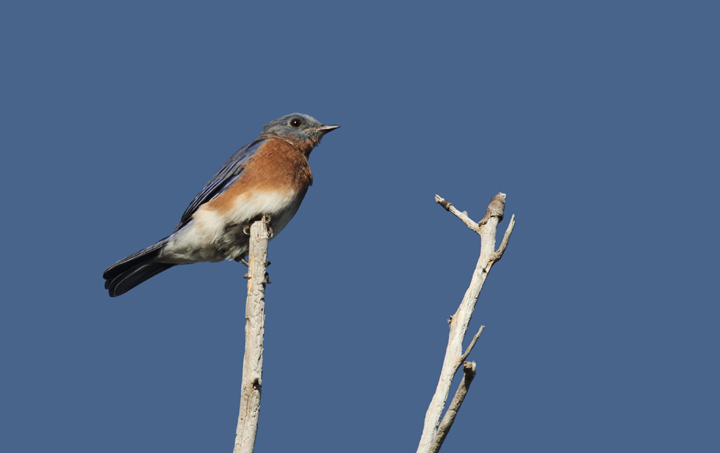 Below: An Eastern Bluebird at Point Lookout SP, Maryland (10/2/2010).